← “A Bigger World Yet” was on Amazon. This is the title page image for the chapter "Jesus With Skin On" it's from an image I saw many years back of some men in the Korean War. The picture for this post, I think gives you an idea of the contents too, in fact it may be better than words…. 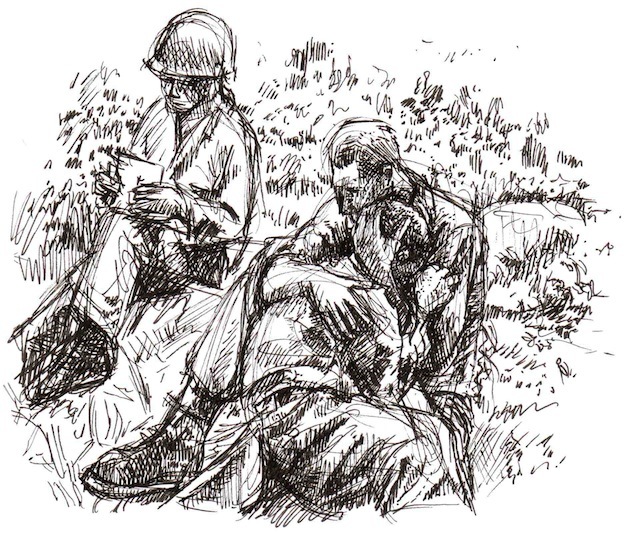 This entry was posted in The Book and tagged male friendship, sketch, war buddies. Bookmark the permalink.